St. George is perhaps one of Christianity’s most famous saints, and is best-known as the patron saint of England. Apart from this well-known fact, St. George is also the patron saint of a number of other countries, including Portugal, Georgia, Lithuania, and Greece. 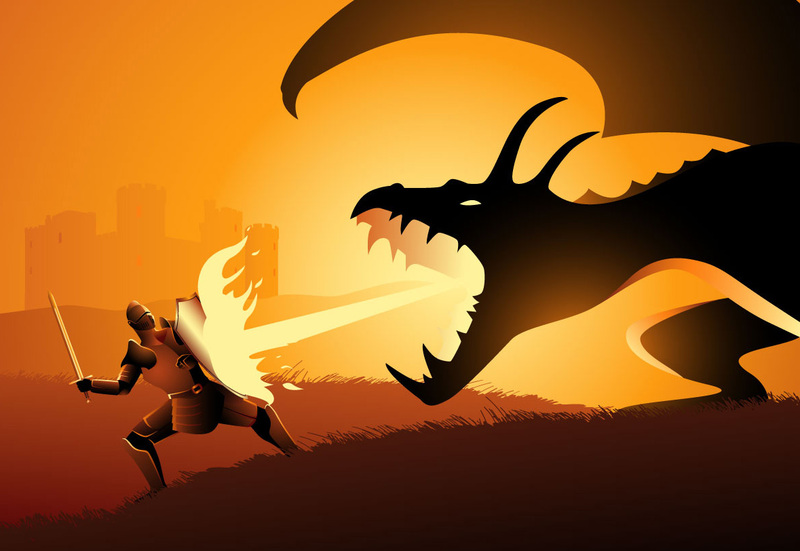 The most popular tale regarding this saint is the one in which he slays a dragon. Thus, St. George is most commonly depicted as a knight mounted on a horse and in the process of spearing a dragon. This image has inspired many artists over the years, and has been portrayed on various coats of arms. St. George is believed to have lived during the latter part of the 3rd century AD and served as a soldier in the Roman army. Most sources agree that this saint was born in Cappadocia, an area which is located in modern day Turkey. 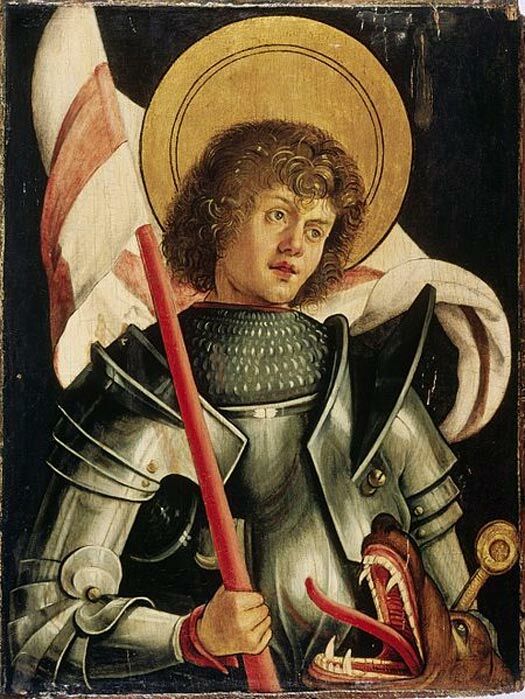 The parents of St. George are said to have been Christians, and he inherited this faith from them. It has been claimed that after the death of St. George’s father, his mother returned to her hometown in Palestine, taking the saint with her. St. George then joined the Roman army, and eventually obtained the rank of Tribune. The persecution of Christians by the Emperor Diocletian at the beginning of the 4th century AD was objected to by St. George, who resigned from his military office as a sign of protest. When the emperor’s order against the Christians was torn up by St. George, Diocletian was furious. In an attempt to force St. George to renounce his Christian faith, he was imprisoned and tortured by the emperor’s men. The saint, however, refused to reject his faith. Seeing that their efforts were of no use, St. George’s jailers had him dragged through the streets of Diospolis (known also as Lydda) in Palestine and beheaded. The story of St. George’s life would have been quite similar to that of his many contemporary martyrs, i.e. refusing to give up their Christian faith in the face of a persecuting pagan emperor, and paying for it with their lives, if it had not been for one particular tale. 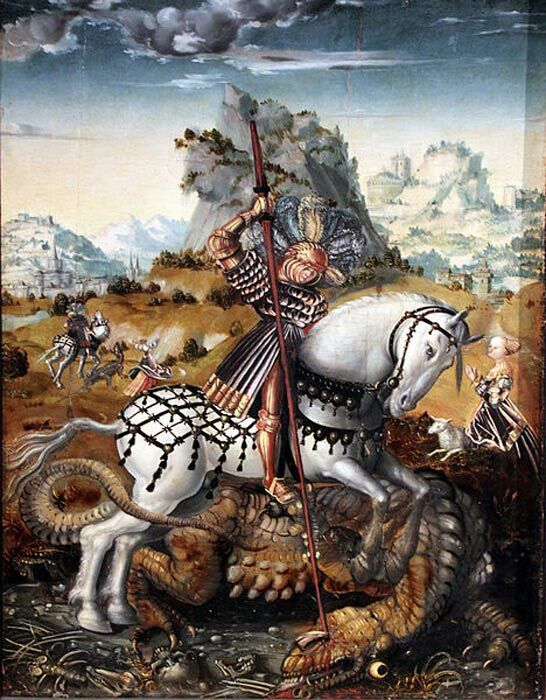 It was St. George’s combat with a dragon that set him apart from most of his fellow martyrs. The best known form of this legend is said to be found in the Legenda Aurea (translated as ‘Golden Legend’), which was written during the 13th century by Jacobus de Voragine, an Italian chronicler and archbishop of Genoa. 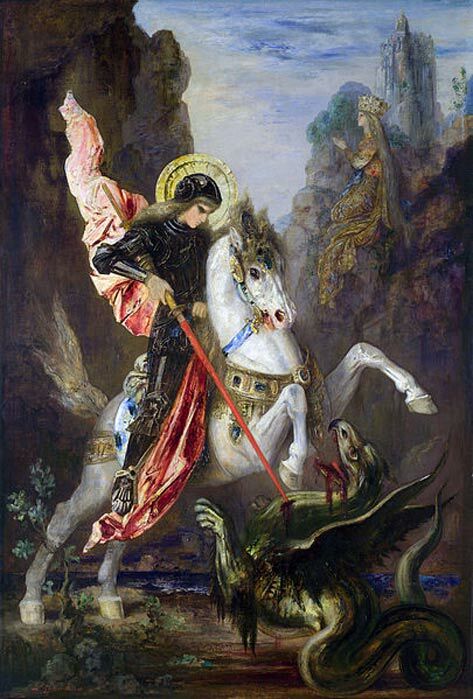 St. George brought the dragon to Silene, converted the king and his people to the Christian faith, and then slayed the dragon. It has been said that St. George’s military prowess made him popular amongst the knights of Medieval Europe, especially following the crusades. During the First Crusade, for example, an apparition of St. George is said to have aided the crusaders during their successful siege of Antioch in 1098. Another popular myth was that the English king Richard the Lionheart saw a vision of St. George during his siege of Acre, which lasted from 1189 to 1191. The king then rebuilt a church in honor of the saint in Lydda, and adopted his emblem (a red cross on a white background) as England’s arms. This myth, however, was disproved during the 1990s. Frankw, this makes this entire article, a little woo woo. Indeed, the St. George myth has its origin in the stories of Perseus and the krakon, Mithras and the bull, etc. Like the biblical tales, most of these stories are derived from much earlier legends an stories. If that's what you believe, then why do you bother to come here? Just to troll? well isn’t that how the phrase “of myth and legend” came to be? Well I agree with you 100%, god doesn't exist so how could there be saints?